two peas & the dog: work. meetings. You can't decline a meeting like this. 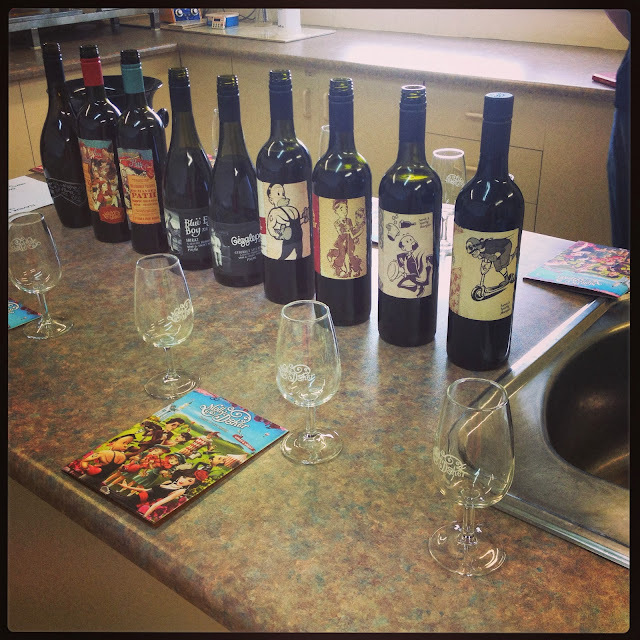 Today Sarah took us through a tasting of our current Winemaker's Dozen and as a bonus as got to take home a bottle. Does the Velvet Glove taste delicious on a Monday night, you bet it will! 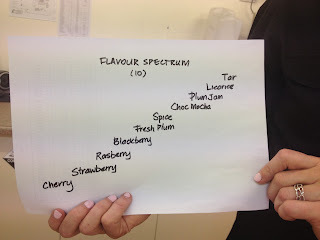 Mollydooker's Flavour Spectrum - learn all about it on a visit to the winery!